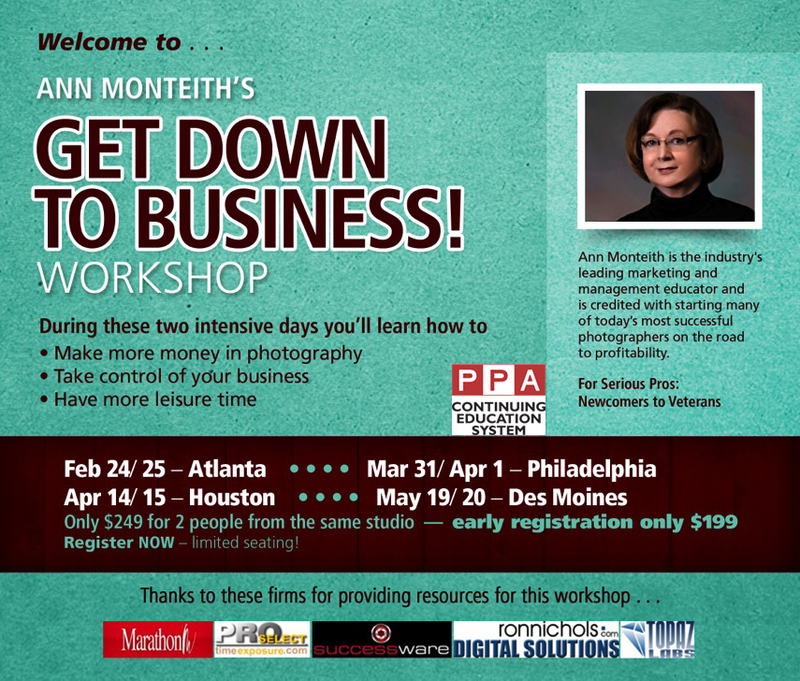 Monthly Meeting | Anne Monteith - PPA Education Merit Program | Business Program Seminar "Get Down to Business"
This is a two day course and PPA members receive 1 Continuing Education Merit. Early registration discount for PPA and PPGH members: $149 if you register before March 14, 2014. Non-members: $199 if you register before March 14, 2014. Registration Fee includes two people from the same studio. Additional person from the same studio: $69. NOTE: You need to register through the Marathon Press website. See more details on the website, click the link below.